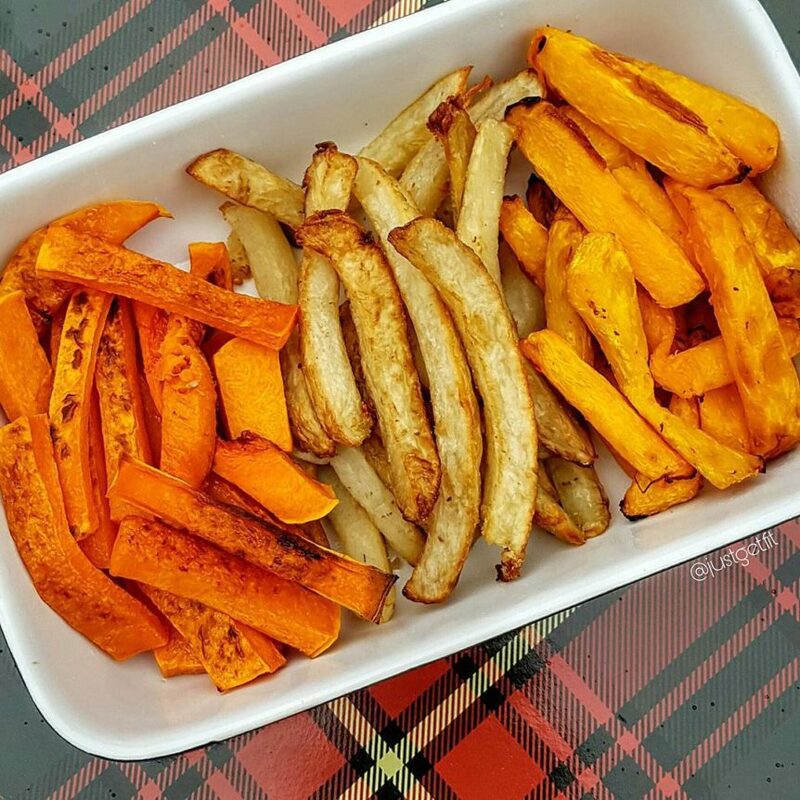 Just Get Fit Healthy Homemade Fries and other Ideas! No fancy recipe here, just a little inspiration. “Fries” don’t have to be limited to potatoes. I used butternut squash, sweet potatoes and banana squash (from left to right) to make fries. I used my T-Fal actifry (and less than 2 Tbsp of oil in total) to fry 2.5 lbs of sweet potatoes and 2 lbs banana squash. I baked the butternut squash 😊. I tossed the potatoes/veggies with seasoning and then added them to the fryer or over. When it comes time to eat, I use ketchup or mustard 😍.